Player with a lot of history in the circuit, this ranking is very liar because he was stopped for a long time by injury. Stan is an aggressive player, able to when he is in form, to give fight to any opponent and already has victories against any tennis player of great quality. He has a great service and a very offensive style, like looking for the winners. He has a great backhand to one hand, a spectacle to watch and he likes to play from the bottom of the court, with heavy and usually straight strokes. He likes to grow in big games and especially if he feels the support of the public. His best record was the semi-finals at the ATP in Sofia and St. Petersburg.Borna Coric, 21-year-old Croatian tennis player, number 18 of the ATP ranking. Player with enough quality and talent, being already a guaranteed player in the top. I believe you can still get a top 10 and you have to give it time to work. He is very athletic, very intelligent to play and likes to play from the bottom of the court.Has a good speed, likes to mix his game and has a very strong backhand. He likes to hit the ball hard and has enough resistance. It will be an interesting game between 2 players who had a different 2018 and who look at this game with different perspective. 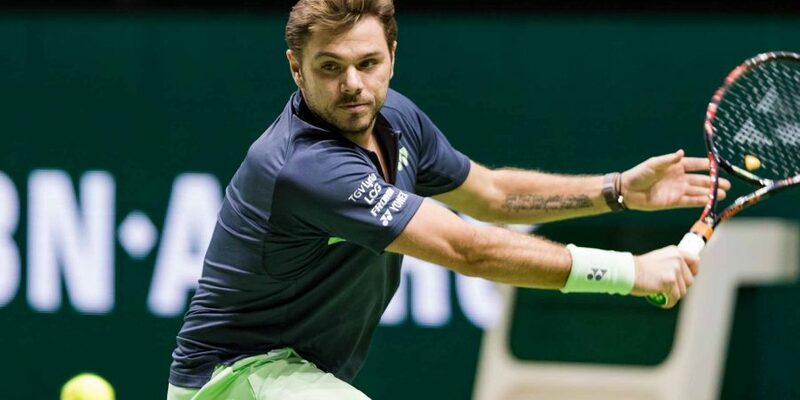 Wawrinka is in recovery, won many positions with the tournament in Russia and Coric had an excellent year,and even a bad tournament does not spoil this season. I think Wawrinka is already in good shape and should dominate the young Croatian who still makes many mistakes, especially in the forehand.